Why are we charging ahead so strongly with Pangaea (now C-ROADS), our international climate simulation? 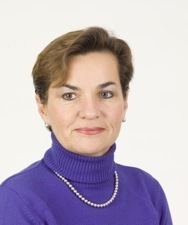 Here’s one reason why, from Christiana Figueres, our project partner and inspiration and the official negotiator for Costa Rica in the United Nations “Framework Convention on Climate Change” process (they call it the UNFCCC — they’re the folks who created the Kyoto Protocol and will convene in Copenhagen in 2009). And here is an analogy for this need. The purpose of our Pangaea simulator (now C-ROADS) is to fill the void and enhance understanding — provide fast, customized, accurate information about the climate implications of various actions to reduce greenhouse gas emissions, in strategy sessions, policy exercises, actual negotiations, and online by anyone.